It is the last day of 2011. I am sitting on a tour bus with my photo gear and 1/3 of the group that will be boarding the Ortelius this afternoon for 26 days of touring the Southern Ocean. We will spend several days in the Falklands, six or seven days at South Georgia, and then head to the South Orkneys and the Antarctic Peninsula before heading north through the famed and feared Drake Passage. We will wind up back in Ushuaia, Argentina on the early morning of January 25th to catch our flights home later in the day. I am looking forward to a great adventure and to sharing my favorite images with you when I get home. My plan is to post this from the hotel lobby after our whirlwind tour of Tierra del Fuego National Park. Old friends Rod and Marlene Planck are leading the trip today. Attending a seminar that Rod did in Philadelphia in 1990 or 1991 was a life-changing event for me as it served as motivation for me to leave teaching and pursue my current career. Seeing his great images in Birder’s World magazine had inspired me year’s before that. My trip from Orlando to Ushuaia was a long one. I left my home at 12:30 on January 28th, flew to Miami at 3:35 pm, and continued on to Buenos Aires, Argentina arriving at about 7:30am the next day at the international airport, EZE. An hour cab ride brought me to AEP, the domestic airport for my 3:40pm flight to Ushuaia. I was in my room at the Albatros Hotel by 9pm. Fighting a cold, I rested for most of the day on the thirtieth. At about 4pm, finally succumbing to feeling a bit better, I grabbed my 300mm f/2.8L IS lens, both teleconverters, and my Gitzo my 3530 LS tripod with the Mongoose M3.6 on it and headed down to the causeway road alongside the harbor to try for some gulls. As luck would have it, someone had dumped a huge load of bread on the rocks that attracted a big assemblage of gulls including both Dolphin and Kelp Gulls of varying ages. Surprisingly, the birds were somewhat skittish so I sat near the pile of bread and waited with some success for them to come to me. It was a good chance to work with the long lens that I will be using as big glass for the trip. I am used to working with extremely long effective focal lengths in the 1040 to 1456mm. With the 300 f/2.8L IS II and the 2X III TC my maximum effective focal length will be 780mm. Considering that the size of the bird in the frame is a function of the square of the focal length (rather than the focal length itself), I am sure at times that I will be wishing that I had my 800. But I am equally sure that I will make a few very good images. And by working wider rather than tighter I will have a better chance of creating images that depict interesting behavior. 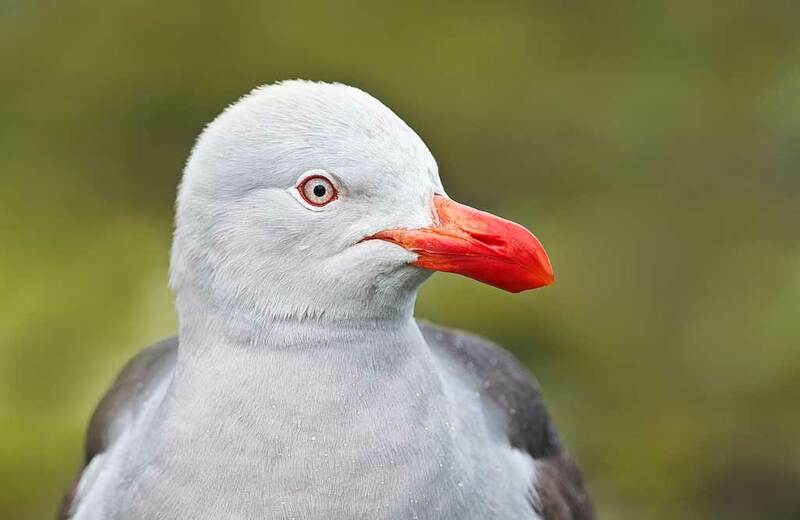 Dolphin Gull, head portrait, Uhusaia, Argentina. With the the tripod-mounted Canon 300mm f/2.8L IS II lens, the 2X III teleconverter, and the EOS-1D Mark IV. ISO 400. Evaluative metering +1 stop: 1/400 sec. at f/8 in Manual mode. Below is a list of the gear used to create the image above. Thanks a stack to all who have used the Shopper’s Guide links to purchase their gear as a thank you for all the free information that we bring you on the Blog and in the Bulletins. Before you purchase anything be sure to check out the advice in our Shopper’s Guide. Canon 300mm f/2.8L IS II lens. The new version of the 300 f/2.8L IS lens is only a bit lighter than its predecessor but it is insanely sharp and features four-stop Image Stabilization. I will be using it with both Series III teleconvters. 2X III teleconverter. This new version of the 2X TC is noticeably sharper than the previous model, the EF 2X II. 19 comments to See Ya Later! Just bought the new 300mm 2.8 II–looking forward to your evaluation of it in the field, particularly with the TC’s. Have a great trip–be safe and healthy!!!! Thanks. The 300 II was killer with either TC. Have a great trip….see you in Morro Bay. Thanks and did. I have a few places to go before then! Ohhhh I am so jealous. Have a wonderful trip. I love the Dolphin Gull. What a great beak and eye. Thanks KK. I think that “envious” is politically correct :). What a treat!! One more from Artie!! Seems like you and the 300mm are doing just fine!! Hi Deirdre, Thanks. We did even better. I am looking forward to meeting and working with you on the SW FLA IPT in just a few days. See you Tuesday night! Have fun, get lots of great pix, and Happy New Year. I love all gulls, especially Herring Gulls. Where do you live? Oops, missed this reply Artie. :¬) I live in Exeter SW England. 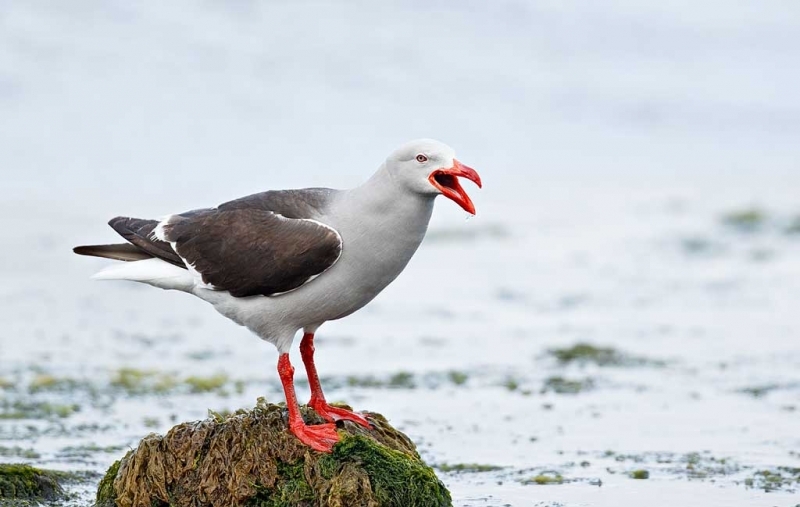 Herring Gulls are real carachters! Many thanks. The trip turned out to be more than I could have dreamed of.